The Classy Awards started in 2009 with a very simple goal – to put a public spotlight on amazing charitable efforts in the San Diego community. By 2011, the small local event had catapulted itself into the national spotlight, becoming the largest philanthropic awards ceremony in the country. More than 2,000 nominations were submitted and 250,000 votes cast for charities, individuals and socially conscious businesses from 49 states. From nominations, to voting, to the actual red carpet awards ceremony, we took a look at some of the benefits of participating in the largest philanthropic awards competition in the country. The Classy Awards Weekend presents an opportunity for nonprofit organizations, large and small, to collaborate and network with the most well respected and forward thinking leaders in the industry. Last year, Gene Talerico, CEO of Marley’s Mission, submitted a nomination in the Best New Charity category simply to see how their organization compared to others across the nation. Founded in early 2010, Marley’s Mission was just getting started and saw an opportunity to use the Classy Awards as a launching pad for growth. The attention given to Classy Awards participants often drives increased donations to support their causes, resulting in expanded programs and services. Classy Awards Winners and Finalists have also gone on to receive other prestigious national recognitions. 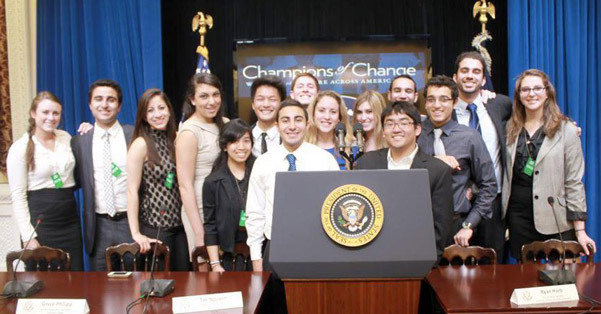 For example, Swipes for the Homeless, a previous Finalist, was recently recognized by President Obama and the White House as a College Champions of Change for their positive community impact in the greater Los Angeles area. Judith Broder, Founder and Director of The Soldiers Project, the 2011 Winner of Charity of the Year, was one of just thirteen recipients selected from a field of 6,000 to be named a recipient of the Presidential Citizens Medal for exemplary service to her fellow citizens. Several more finalists have been recognized as CNN Heroes, including Gina Keatley of Nourishing USA, Jake Wood of Team Rubicon, Diane Latiker from Kids Off the Block, Debbie Cantwell of the Pink Daisy Project and Bruno Serato of the Anaheim White House Restaurant. Other Classy Awards Winners like StandUp for Kids, have gone on to expand their reach from a local or regional level to a national level based on the recognition they’ve received. The ultimate goal of the Classy Awards is to put a national spotlight on the story and effort behind the charitable achievements themselves. 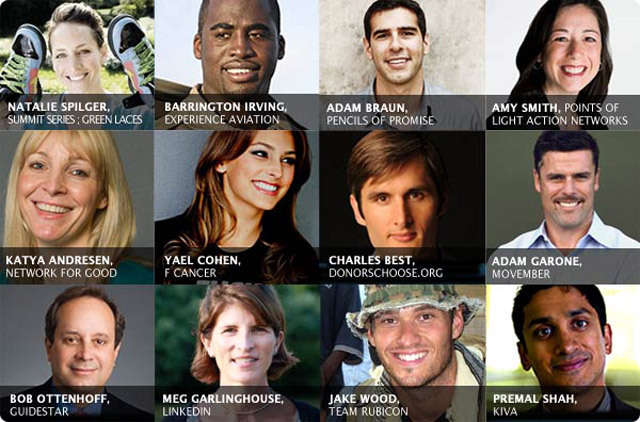 To do so, Classy shares achievement stories that exemplify inspiring volunteer efforts, impactful nonprofit fundraising and innovative corporate social responsibility with media partners such as Huffington Post Impact, MTV Act, and Chronicle of Philanthropy. 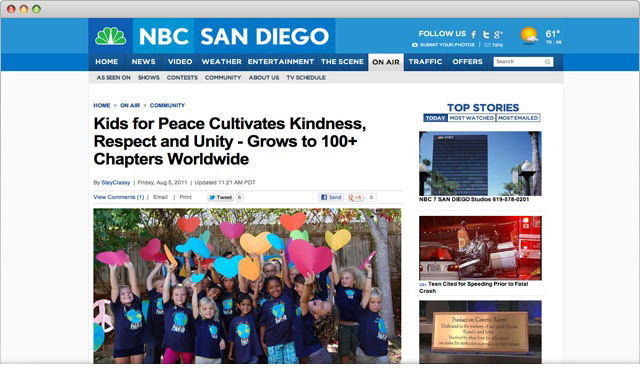 In 2011, NBC San Diego syndicated three Classy Awards stories, which generated more page views than any of their other local news stories in the previous two weeks. With media-syndicated stories, nominees are able to expand public awareness of their cause and reach demographics not otherwise possible. This year’s nominees are expected to receive more than 160 million impressions throughout the six-month process. Classy Awards nominations are often picked up by some of the top local, regional and national media sites in the country. While there is a small public voting component, the Clsasy Awards is not a popularity contest. In the same way that the Academy chooses the Oscar winners, the Leadership Council serves as the democratic voice of the Classy Awards, bringing great depth and expertise to the judging process. Ultimately, past CLASSY Awards Winners and this panel of industry experts choose the Finalists and Winners. The Leadership Council is an honorary board comprised of some of the most well-respected and forward thinking leaders in the world of philanthropy. The Council includes Adam Braun of Pencils of Promise, Charles Best of DonorsChoose.org, Clam Lorenz of PayPal‘s Nonprofit Engagement, Emily Davis of Next Generation and YNPN San Diego, Jim Gibbons of Goodwill Industries International, Jim Moriarty of the Surfrider Foundation, Meg Garlinghouse of LinkedIn‘s Social Impact, Premal Shah of Kiva, Stephanie Kurzina of Oxfam, to name a few. To view a complete list of the Leadership Council click here. The Classy Awards recognizes nonprofits operating as efficiently as lean corporations; for-profit enterprises that have built social responsibility into the essence of their mission; and it shines a celebrity spotlight on charity leaders. It celebrates creative applications of technology in a sector that has never been known for it’s technology adoption, and young progressive leaders who could become the next generation of wealthy CEOs, but instead have dedicated their lives to improving the lives of others. The Classy Awards is the only award show that is put on by the nonprofit industry for the nonprofit industry.